In order to cheer up the fans after the delay of the next Grand Theft Auto V update, titled Heists, Rockstar company has verified ten new GTA Online jobs, which are created by the players, and has told about them at the official project’s site. The studio’s representatives have also mentioned that the latest GTA Online jobs also include the missions for the last game’s DLC - “I’m Not a Hipster”. 1) Holy Drift Mountain (by Heavy Magic). It’s a competition for the sports car owners. You will race on the picturesque track, which begins from the Vinewood downtown, runs through the beautiful Vinewood hills and ends at the start. The route won’t have any traffic, so that you’ll be able to enjoy the drifting and the high speed. 2) Far Out LOOP (created by Pakelikea). In this mission, the road runs across the industrial zone, passing the Grapeseed vineyards. The players must conquer several tough turns and obstacles, for example, the ditches or agricultural equipment, which will suddenly appear on the way. 3) The Maze Bank Fight (from N7 - Devestator). 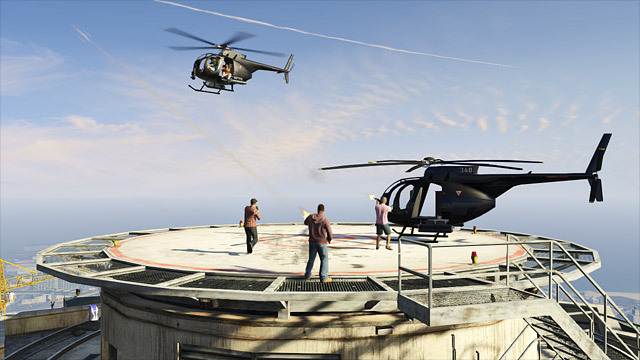 The next GTA Online job represents the combat between two teams on the top of the Maze Bank Tower. Once one of teams manages to get the costly package, they can come back to the base by the helicopter or use the paraсhute in order to land on the ground and continue the race there. 4) Hipster Happy Hour (from Foghat1977). As it was mentioned earlier, this GTA Online job is created for the latest game’s update - “I’m Not a Hipster”. 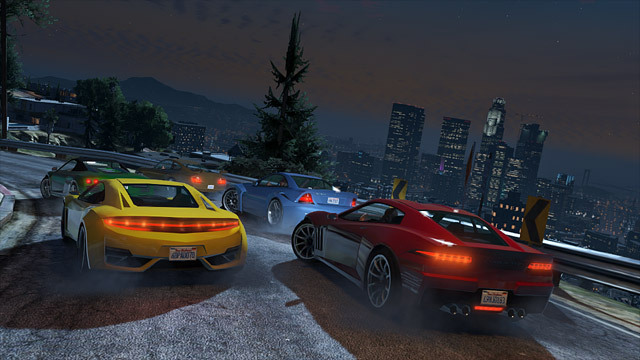 The race is for the sports cars, and it takes place in the Downtown and Vinewood. You’ll face the tortuous twists and unexpected barriers, so you’d better watch out. 5) Hold: Shopping Spree (presented by Skilledscout). The mission is set on the coast in the Chumash town. In this job, the players must stand against the dangerous gang of the Actors, who have occupied the shops and Capture Objects. Your task is to sneak past them and reach the Capture Points before your opponents do that. 6) Marios Race (from Fifides). Another race on the wicked track, which combines the unexpected twists and obstacles with the wide straight sections. They perfectly fit for the overtakings. The competition takes place in the Los Santos downtown. 7) Quarantine (introduced by Raymond_Calitri). You will have to pass the bridge, which is situated on the Elysian Fields Freeway. But it’s not that easy. 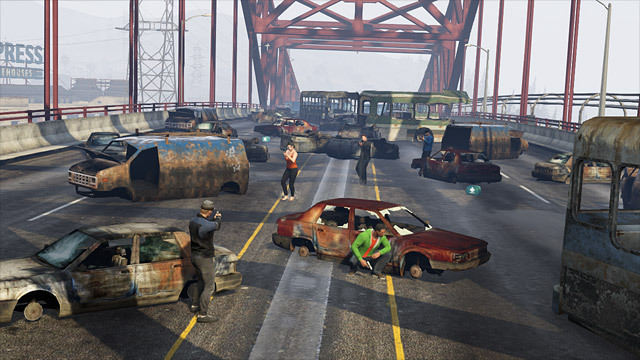 The bridge is scattered with the broken cars and other vehicles that block your way. And your enemies are on the watch. With the limited amount of ammo, you must build the right tactics in order to reach the safe place. 8) Obstacle What? (from GSXR01570). 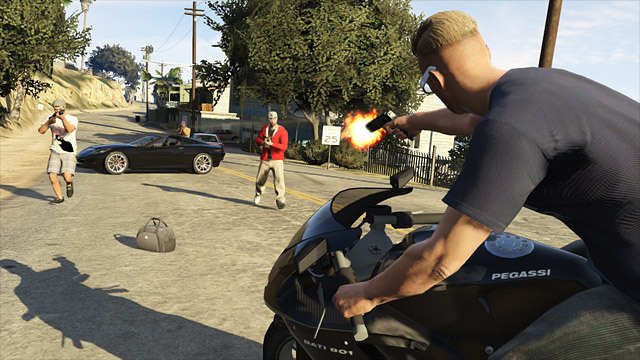 This GTA Online job is designed for the owners of motorbikes. The race begins in the Los Santos downtown, then kicks into gear in the Grand Senora Desert and runs back to the start. Besides you, there 15 more other players, who are willing to win the first place. Get ready for the jumps over barriers, twisted turns and high speed. 9) Rattlesnake Run (created by a_smitty56). And here’s another racing competition, which takes place on the El Burro Heights oil fields. The players will face many winding route sections, unexpected twists and obstacles, on which they can push the opponents. 10) Sonuva Beach (by Handcuff_Charlie). 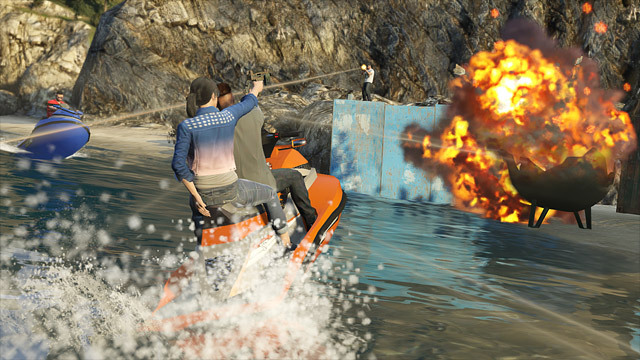 And finally, we present you the last GTA Online job, which is a kind of a deathmatch. The mission is set on the Palomino Heights beach. In this battle, the choice of the weapons is limited to the shotgun. But on your way you’ll be able to pick up the grenades and Molotov cocktails, which the developers have left on the map. So, what do you think about the new GTA Online jobs? Did you like any of them? We’ll be glad to see your answers in the comments below.